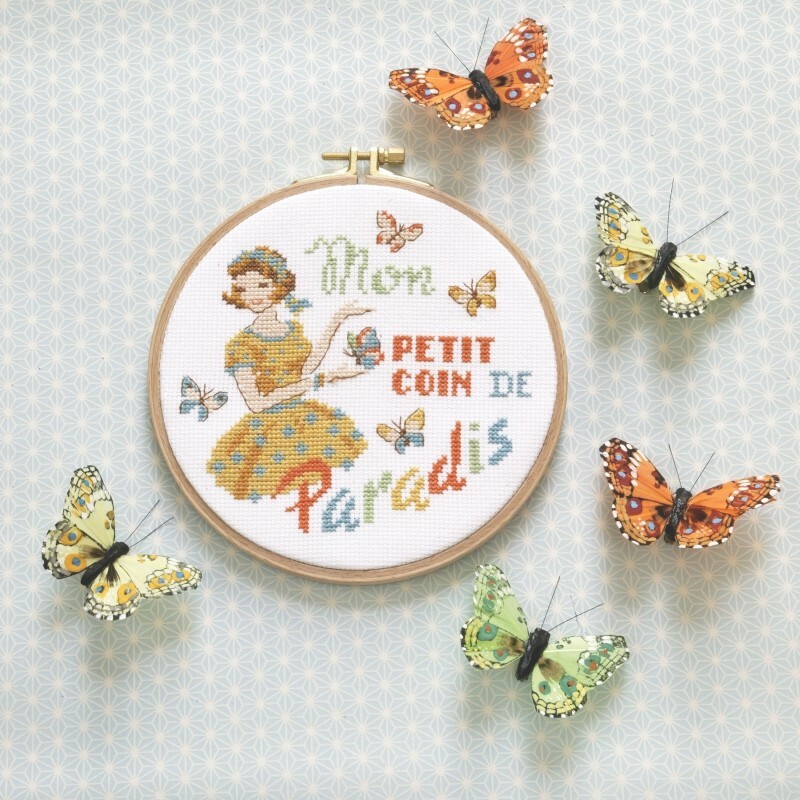 Hanging on the door of your workshop or on the door of your garden shelter or, indeed, hanging on your kitchen dresser, this ethereal embroidery sets the tone : it’s such a fun place to be, where you feel at ease and as light and as happy as a butterfly. It will certainly chase away the blues ! Also available in an 11 count linen version – find the product by clicking here !